Celluloid Diaries: Can you pass this extremely difficult horror movie quiz? Can you pass this extremely difficult horror movie quiz? Do you think you can ace this extremely difficult horror movie trivia quiz? Test yourself with these 20 questions. 1) Ghost wasn't the only ghost movie in which Demi Moore starred. What was the name of the 2006 film by Craig Rosenberg in which Demi plays Rachel Carlson, a successful novelist who moves to a small Scottish village after the death of her son, only to encounter ghostly happenings? 2) Which horror movie character is not played by Corey Feldman? Norman Forrester, Marty Coslaw, Pet Fountaine, Edgar Frog, Tommy Jarvis. 3) Who directed the 1985 cult classic The Stuff in which a dessert sensation takes over the brains of those who eat it? 4) Which five murder weapons are used in Friday The 13th Part 8: Jason Takes Manhattan? (1) Ice pick, (2) electric guitar, (3) mirror shard, (4) machete, (5) deep fryer, (6) harpoon, (7) broken bottle, (8) surgical hacksaw (9) garden shears, (10) sauna rock. 1) In the Danish horror film Kat, a cat gets possessed by demonic powers after a failed séance. Who plays the main character, Maria? Tip: she's also the wife of Nicolas Winding Refn and played in several of his movies. 2) John Saul may be one of the most famous American horror novelists, but contrary to Dean Koontz, Stephen King, and Jack Ketchum, only one of his books got turned into a movie, a TV-movie for that matter. What's the name of that book/film? 3) What's the name of the town in which a bus-load of atomic children with black fingernails kill their parents in the eighties horror film The Children? 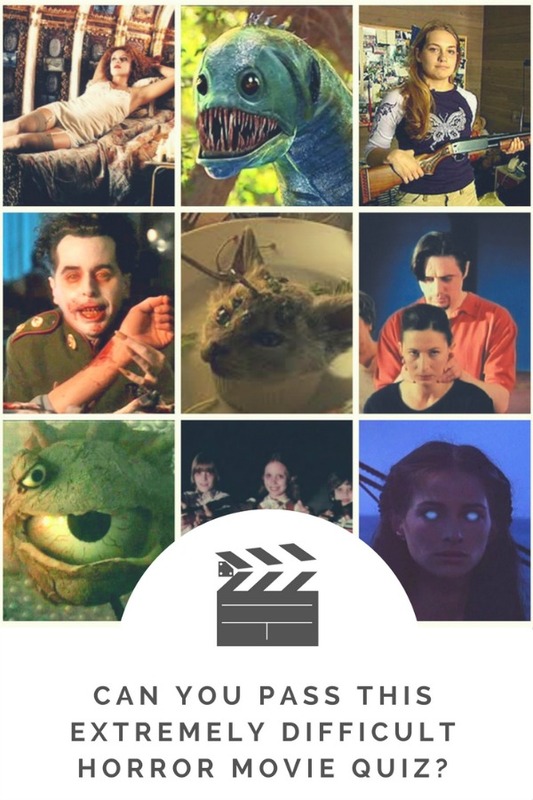 4) Which brothers directed horror movies such as Razorteeth, Splatter Beach, Preylien, and Feeders? 5) Where have the movies End Of The Line, Karmina, and White Skin been made? 1) P was funded with Spanish money and shot in Thailand with Thai actors. From what country is the director? 2) What is the name of the German movie from 1996 by Christian Frosch in which a group of people with psycho/social problems go on a self-improvement seminar and then start killing each other? 3) Killer's Moon from 1978 is known as one of the sleaziest horror movies in British film history. The dialogue, however, has been written (uncredited) by one of the most acclaimed British novelists. Who is she? 4) In what type of building does the 1980 French horror film La nuit de la mort by Raphaël Delpard take place? 5) South-Korean director Byeong-ki Ahn became known for his horror movies Phone and Bushinsaba. What was his first movie called? 1) What's the name of the movie directed and written by Daniel Minahan in 2001 in which a TV program selects people at random to kill one another for fame and freedom? 2) What's the English title for Kim Ki-young's South Korean movie Salinnabileul ggotneun yeoja from 1978? 3) What year was The Bermuda Depths with Carl Weathers released? 4) In the German movie Der unfish/The Unfish from 1997, Sophie "inherits" her uncle's preserved whale. What happens to whoever sleeps in the whale's belly? 5) Joseph Merhi wrote, directed and produced the eighties horror movie Mommy's Epitaph. Why does the family in this movie move from town to town? 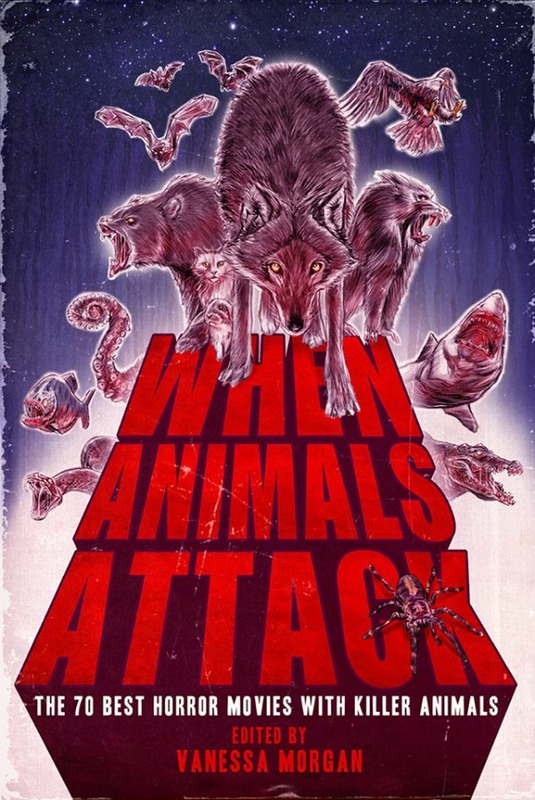 Deepen your knowledge of the horror genre with the book When Animals Attack: The 70 Best Horror Movies with Killer Animals. I knew none of these haha - I hate horror movies! Take a look at this this post it great for all the people that are looking to study in English.